This is definitely the week of mountain ranges. I had a question on reddit on how to draw mountain ranges that go east-to-west rather than north to south. Here’s a very quick tutorial on the difference. If you want to go deeper into the north-south version, check out this earlier tutorial on mountain ranges. The hotizontal version is very similar – with a few tweaks. With a horizontal mountain range, you’ll definitely see the ridgeline. Start at where the base of the range is going to be – and draw a line that steps up as you get to successively higher peaks. At the other end, step down in the same way. I’ve decided at the far right to bring the ridgeline around, and have it come out towards the viewer. If you want it to be truly horizontal, make sure you’re ridgeline ends up at about the same level it began at. Even though your primary ridgeline goes left to right, the peaks have many other ridges, and they will go in all directions. Draw in ridgelines that come down from the peaks towards the viewer, away from the viewer. These will define the bulk and form of the range, and will give you valleys between them that lead into the range. These can overlap, but if they do, make sure one is clearly in front of the other. At this stage, we draw all the details of the terrain that falls away from all of our ridges. This gives the form to the skeleton we drew. It doesn’t have to be neat. We’re just looking for a sense of form here, and the viewer will do the rest of the work. Note that here we now show that between each two secondary ridge lines, we get a valley. If you want to take this further, you can follow this tutorial on how to shade and colour your mountain range. There’s lots more tutorials on the blog, or leave a comment if there’s a tutorial you’d like to see. These are great tutorials. Thanks for taking the time to write them. I’m glad they’re coming in handy. Thanks again, love your tutorials. I really appreciate the work you do here. You’re welcome – I’m glad these are coming in handy. Thanks a ton. For a beginner like me, this is a treasure trove. Thank you very much for sharing. All the best. The first and second parts are easy. However the third part is… very difficult. Detail must be added but how and where are the questions. That was… actually not very well-worded. No worries – I understand what you mean. I’ll see if I can knock together a video on that. It takes a little time to get a feel for it. If you get the chance – use some old skiing maps for reference and try just drawing an illustration of a mountain. It’ll give you a feel for how the terrain flows. Hey Jon, as always, thank you for all of your tutorials. Is there a chance you could upload a bigger size of this mountain range? Oh my. How wonderful. I’ve just taken up map making as a side hobby to starting D&D about 6 months ago. 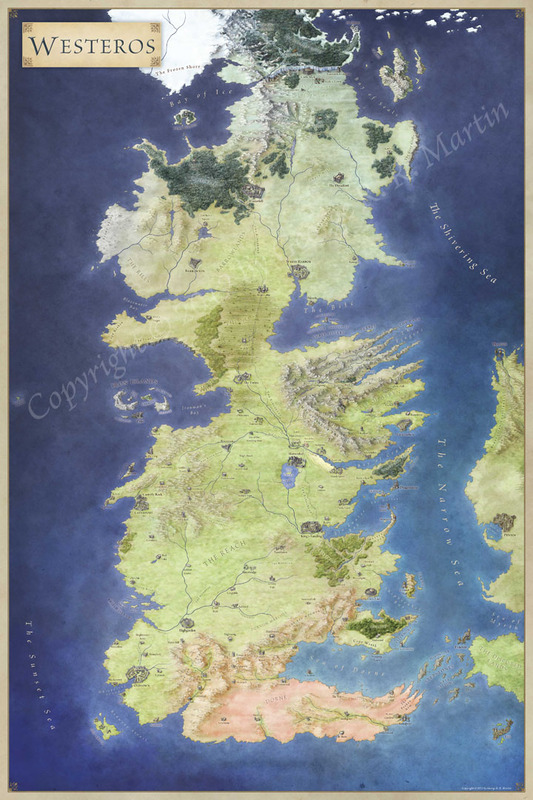 One of our GMs is a serious world builder and did a very (VERY) simple map in PhotoShop. I volunteered to start mapmaking – hand drawn. He has a huge mountain range in a big lopsided C shape and I’ve been agonizing over those east-west mountains. The youtubers I’ve watched so far always draw north-south. Thank you so much for sharing this. I’m going to get lost in here, happily. I tried making my first map today. I don’t remember the last time I drew anything so this was a challenge for me! Your tutorials are great and I feel like they helped me a lot. I posted a link to the image below. Tell me what you think of an amateur’s work!